I have done with my first handmade bag project. It is a small size hand bag. 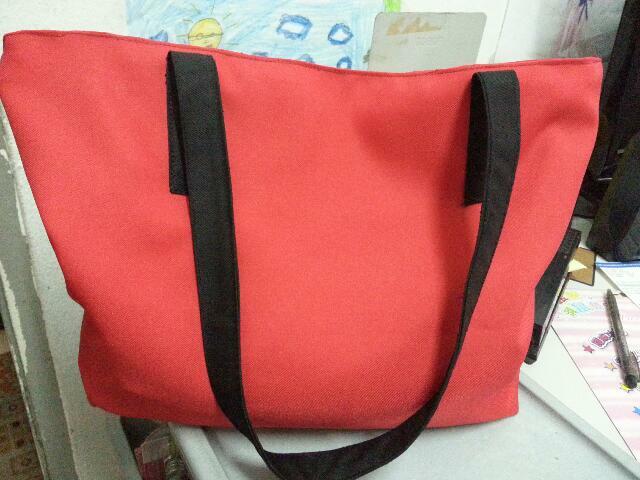 It took me a while to figure out how to sew this bag with a zipper and lining. Thanks to youtube tutorials. 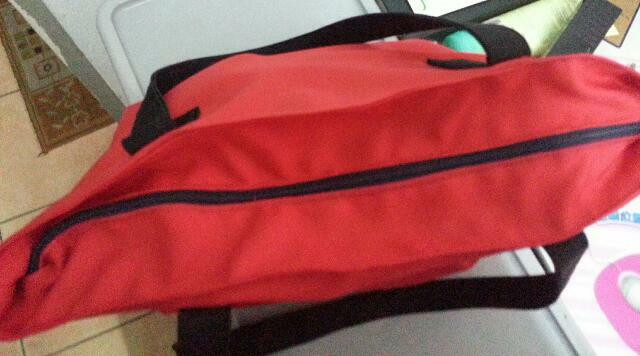 the bag is finally done but the zipper is not smoothly placed..will improve that in my next project. it is a simple bag with no inner or outside pocket. Wow! At least you could sew and make. I am totally useless when come to such. Haha. Good luck in the next project. WOW....WHAT A NICE WORK YOU HV DONE. NEXT TIME MAKE SOME FOR ME OK.
You're really good! Nice bag. 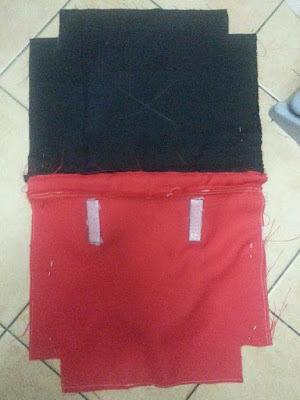 First pic looks like Mickey Mouse with 2 buttons on his red pants haha. Wishing you a very healthy, happy new year! I am back. You are so talented! Nice bag!